There are a lot of misconceptions about this beautiful finish. Some people think that they can buy this product at Home Depot and apply it themselves – and, yes, they can. They will have to have very smooth walls (no imperfections) and they will have to follow the directions to the “T” which most people don’t do! 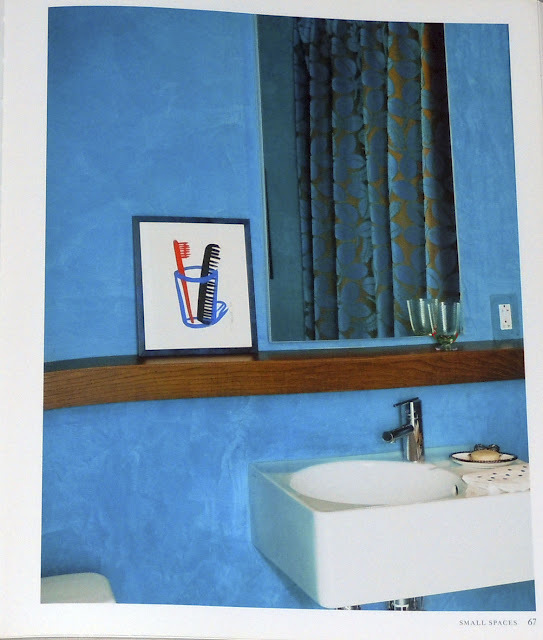 But even if they apply it perfectly, it will never look as beautiful as “real” Venetian Plaster – because it’s a cheap (about $35 per gallon) synthetic product that bears very little resemblance to the real deal. 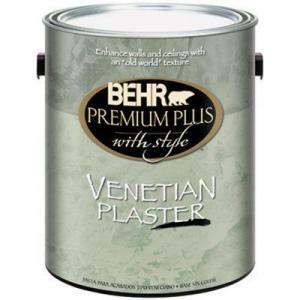 Most of these so-called Venetian products are made of acrylic polymers and fillers like clay or gypsum. These synthetic products are more like paint than plaster. As such, they won’t last forever and they fade and get marred easily – just like paint. A Little History: Venetian plaster (lime-based plaster) has been used for thousands of years – from the tombs in Giza and the Moroccan steam baths…to the Sistine Chapel. It has been a key ingredient in the great architectural structures that are world-known for over 9000 years. The artisans of Venice perfected these plasters to a high art and they were highly regarded for their beauty, feel and longevity. It’s been said that many of these artisans took the recipe for their plaster to the grave – rather than to reveal the secret of this beautiful finish. Authentic Venetian plaster is a wonderful wall option for places that may get humid and wet (like bathrooms). The water will quickly evaporate and exit the finish – unlike their synthetic imposters, which will fail in wet conditions. If you think about the damp canals of Venice and the exteriors of their buildings clad in this plaster – that are still intact and looking beautiful, you’ll understand why this finish is so desirable and worthwhile. 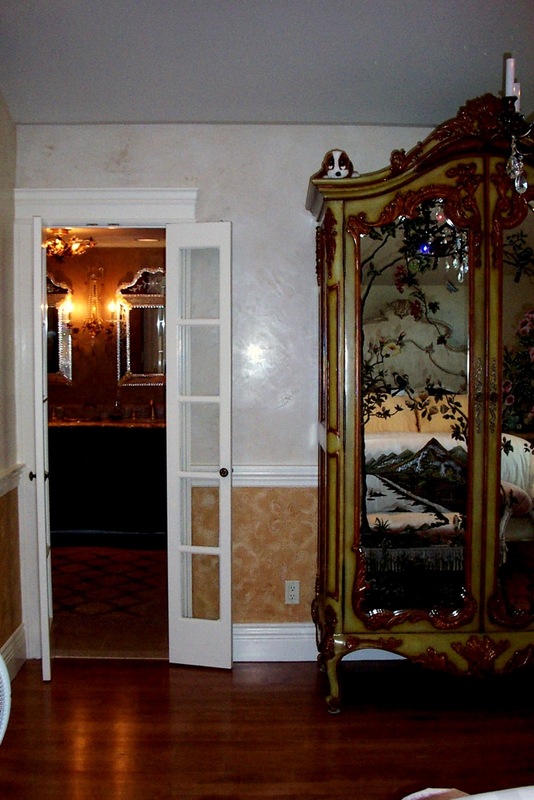 What is real Venetian plaster? Put as simply as possibly, it’s really a chemical process. It starts with Limestone which is taken out of the ground and then put in high temperature kilns. This breaks it down and takes the carbon dioxide out of it. 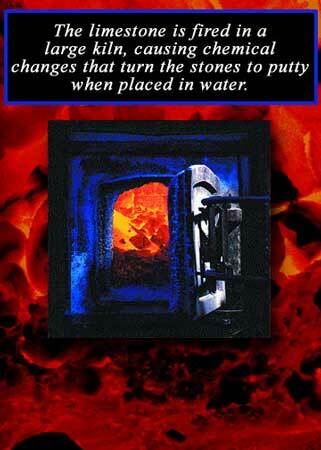 Calcium oxide is what is left over. 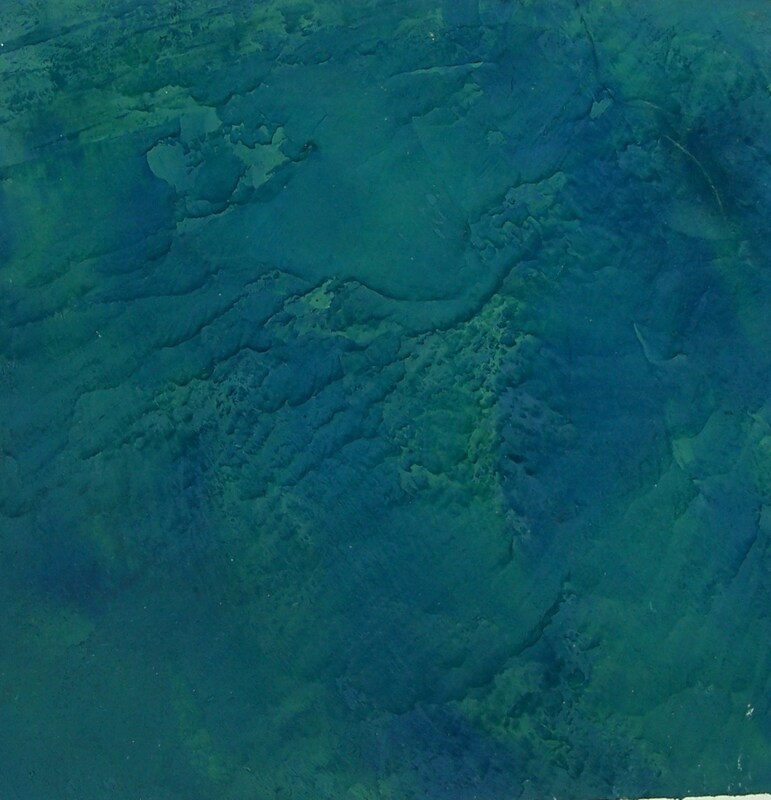 Mixing these lumps with water – it becomes calcium hydroxide. This is then aged for about 3-5 years. Then marble dust gets added and mixed – and that’s the basis for lime-based plaster. When this gets applied to walls and then burnished and cured – the chemical process really begins. The water is given off, the carbon dioxide from the air is absorbed – and the plaster hardens back to its original state – limestone. You really can’t get that for $35 a gallon. This beautiful plaster craft was absent for nearly a thousand years until the Renaissance – which of course, revived so many important art forms. What is so important about real Venetian lime-based plaster is its structural quality. Due to the chemical process which converts something hard (limestone) to a putty/plaster that can be troweled on – and then hardens back to limestone – is that it actually changes the structure of your walls. They no longer look like sheetrock – they look like they are made from stone – harder and more thick. 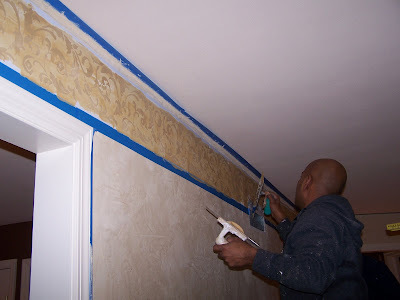 And when you do multiple layers – and then burnish them (burnishing is when you take your trowel and press and compress the material as it dries to create depth and shine)…the glow and the depth of this finish is so incredible that any synthetic plaster wall looks dull and depthless in comparison. How else can you tell real vs. synthetic Ventian Plaster? Aside from the depth and beauty…if you place your hand on the wall and it’s cool to the touch – it’s the real deal. If it’s warm – it’s synthetic. I can’t tell you how many people I’ve disappointed when they rave about their Venetian walls – only to find out that their warm walls are synthetic – and not the real thing. Above you’ll see one of my first Venetian Plaster projects in designer Louise Foronzy’s bedroom on Long Island﻿. I took the picture with my first digital camera (so I apologize for the photo in advance). I left the glare on the Venetian Plaster on purpose to show that it can be burnished (polished) to a high, medium or low shine. This was burnished to a medium, satin shine. Louise, who soon after we finished her room had to undergo a pretty serious operation, said that she recovered more quickly because she awoke to her beautiful walls every morning and they made her so happy. That’s a pretty good testimonial!! 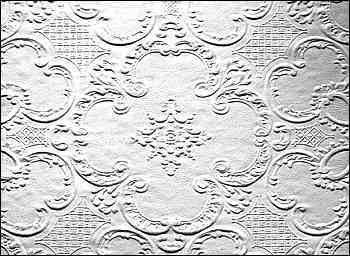 If you are wondering – the lower half of the walls was a paintable Anaglypta (actually this was something called Superglypta) raised wallpaper from England. I believe it is available now in the US. We painted it, then antiqued it using a tinted Limewash (to keep the Lime thing going in the room!). We used a window wiper to remove the wash, so that the higher, embossed design showed up more. 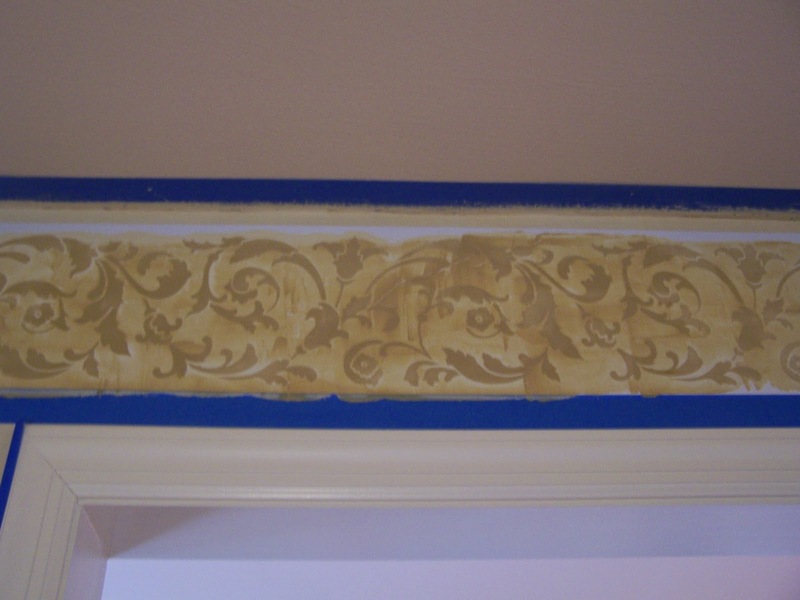 This type of finish looks great as a wainscoting and also in coffered ceilings. 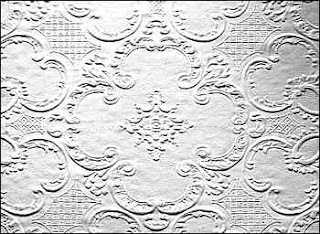 Many high-end designers specify Venetian Plaster because of its unique depth and beauty. 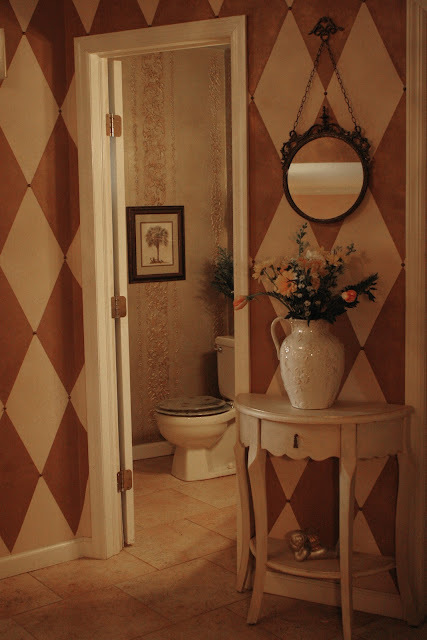 Designer Jamie Drake had this finish hand tinted to match the fabrics he was putting in this small but elegant powder room. He says of the deep rich tone “Slathering a small space in a strong color creates a special event.” It can also “erase boundaries and melt the edges of the walls to virtually expand a diminutive room.” It looks as if the room was carved from a block of stone. 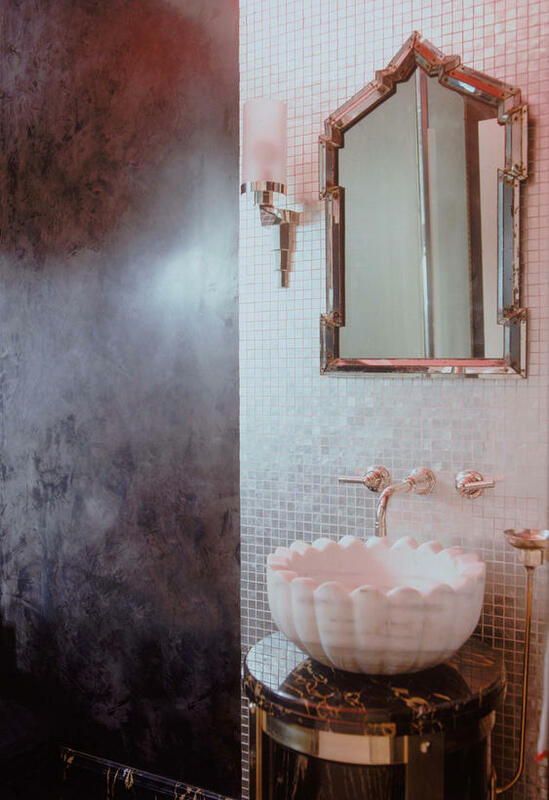 Another one of Jamie Drake’s Venetian Plaster bathrooms – this one in a graphite gray. Venetian﻿ Plaster can be burnished to a high, glass-like shine, satin or you can also have a more matte finish that has depth. In my home’s entryway I did a harlequin design, alternating between a Marmorino Venetian Plaster (a more matte finish) and a LusterStone Plaster, which is a higher sheened, synthetic plaster – but one of the best products that I specify time and again. 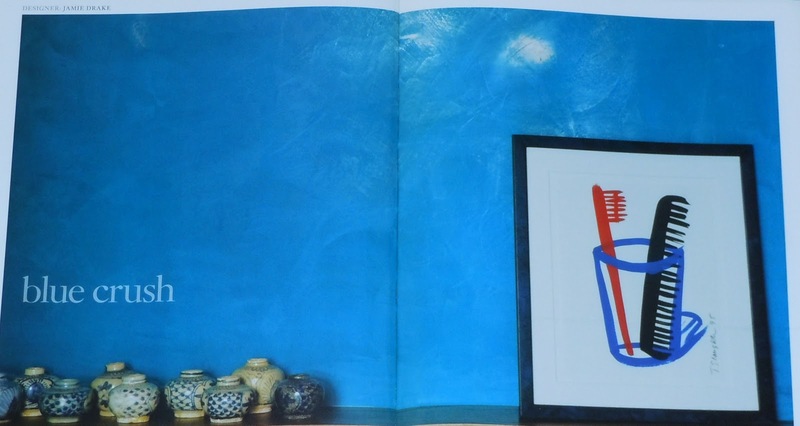 It’s synthetic – but it is not labeled a Venetian product. And yes…if you are wondering – I put upholstery tacks on every joint! The lighter plaster is matte – but you can see the organic depth that you can achieve with Venetian Plaster. Even using just one color of the plaster, you get an amazing variation in depth and tone. Why else is VP such a great product today? 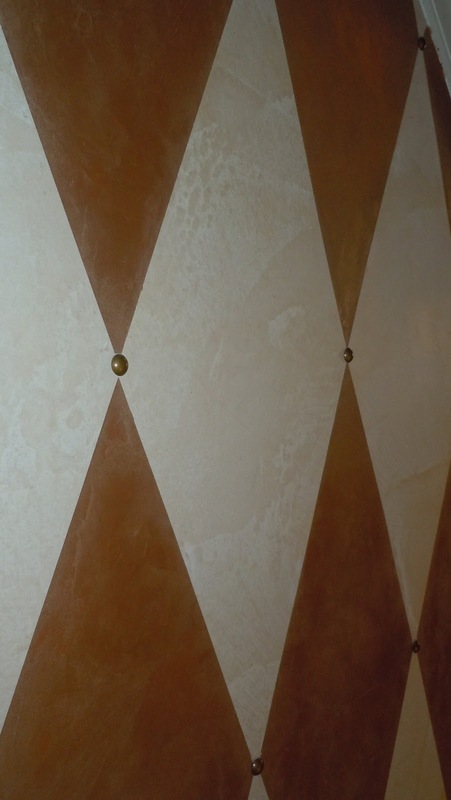 Paint and paint-like plasters need to be reapplied over and over again – but authentic Venetian plaster will last a lifetime. It’s an eco-friendly, green product and it’s naturally mold-resistant. Venetian plaster is also great for rooms that don’t have much natural light – as in my office at home. It’s a north facing room with no windows, only 3 skylights and some additional light from two French doors that lead to our great room and an archway from our kitchen. I want any light that comes into the room to be captured. So, right now I am doing a pale buttery yellow Venetian plaster with a slightly darker embedded design at the ceiling. First, some layers of Venetian, then mix in some umber into the existing color and trowel through a stencil – or as we did, a Modello one-time use stencil. Then another layer of the original plaster over the entire room, so that you “embed” the design. The shine from the Venetian plaster will make the room glow beautifully. I promise to post the “after” pictures very soon, when it’s done! So﻿ when you hear people speak about Venetian Plaster, now you can very confidently tell them about the differences from the authentic stuff and the synthetic imposters that abound. If you have been thinking of doing something like this in your home, ask questions to make sure that your artisan/contractor or designer is giving you the real deal. Ask for several samples (and feel them to make sure they are “cool” to the touch) and ask to see pictures of actual homes with the material applied. You can always call my shop at 631 793-1315 for more information and to have this beautiful, eco-friendly finish applied in your home. 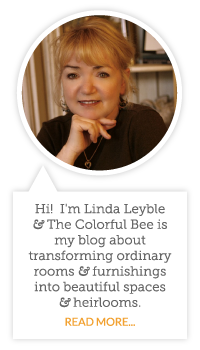 ← I’m Trying to Keep My Home as Designer-Perfect at all Times – But Life Takes Over! Love what you did to the clock. What a talented individual you are!